Traveling to St Lucia is getting extremely easy, leaving you no excuse to book that next trip. Choosing your accommodation has never been simpler as you have countless options to choose from. Your selection is endless as you can choose from the best Resorts in St Lucia or the most stunning AirBnB located in St Lucia. We put together a list of the best Airbnb accommodation in St Lucia! Check out these amazing St Lucia Airbnb places. Before we get started, we want you to give our Facebook page a quick like and be sure to follow us on Instagram for some amazing inspiration. We also do use Affiliate links in some of our posts meaning we could make a commission if you purchase from links. Airbnb is also one of our Affiliate partners that we link too. 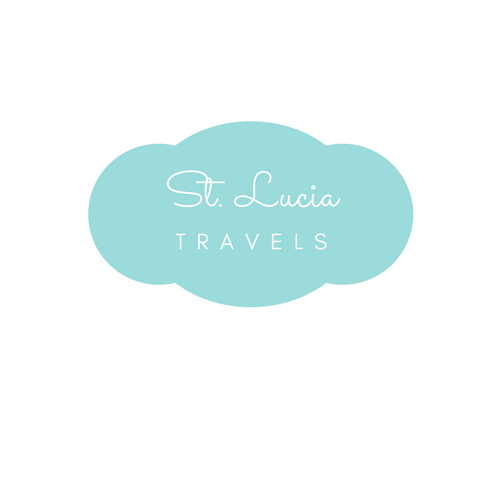 St Lucia has amazing beaches, really great foods and lots of amazing activities for you to tackle. Airbnb is on the rise as it offers you and your guests an away from home feeling. Staying at an AirBnB will make it easy for you to mingle with the locals, connect with the true nature of the county and the owner can give you all the secret best places to visit and see while on vacation. Serrana Villa is located in Soufriere and offers panoramic views of the majestic Piton World Heritage Sites. It’s located 12 minutes from the World’s only drive in Volcano which is popular for its mud baths. Guest have access to the entire villa and private facilities. Anyone staying at this resort also gets special discount rates negotiated by the owners on Car rentals and the private Excursion Discount With Adventure Powerhouse Real St. Lucia Tours. Kaye Coco resort is located at the Base of the Gros Piton which is walking distance to Anse L’Ivrogne Beach and 10 minutes drive to Sugar Beach. This location is perfect because you have everything around which is all within walking distance. This spacious venue has two side by side apartment which is perfect if you are traveling in a group setting. Want more of a cottage feel? Then Chalet La Mar offers you the cottage life you crave on the beautiful island of St Lucia. This cottage is in Laborie which is a Caribbean village. This is a great opportunity for you to mingle and experience the village life. Hiking is the best activity you will find at this location. Don’t worry, it is still located close to a beach. The Mango Splash Apartment is located on the beach of Laborie which is known to be the old Caribbean fishing village. It is home to inexpensive restaurants and bars which are all within walking distance. The beach is literally in your backyard as you just have to walk around the house to get to it. The venue also comes with sunbeds that you take with you to the beach, it includes an outdoor eating area right by the beach and you have the view to watch the sunrise and set each day. This sound extremely romantic as the venue is made for two people! Honeymoon anyone? The Luxury Hilltop Retreat is literally located on a hilltop making it completely beautiful in terms of the view you get. If you are looking for a stress-free place to stay in St Lucia, be sure to give this place a try. The amazing view, great sunset, and a modern renovated house make this the best Airbnb in St Lucia. Kaye Mango is owned by Canadian owners and they fell in love when they first visited the beautiful island of St Lucia. Kaye Mango gives you seclusion and privacy you may need when visiting St Lucia. This venue is located in perfect view of the ocean and the World Heritage Piton Mountain. A large 1,175 square foot Villa that provides holidaymakers with a comfortable base from which to explore St Lucia. Grand View Villa has two bedrooms, a relaxing sitting room, and fully equipped kitchen provide for all your needs. Grand View Villa is a self-catering accommodation. Located atop the historic mountain district of the Morne of the capital city of Castries, St. Lucia, the Seaview House offers breathtaking views of the Caribbean Sea nestled in a secluded area of the Seaview Estates. The year-round sunny and warm weather in St Lucia will allow you to travel throughout the island whether you would like to go shopping in the main town 15 minutes away or scuba diving. Villa Frangipani is a simple and unique 3 bedroom holiday home in a stunningly gorgeous ecological location overlooking the city, which is only 5 mins away by transport. Big, beautiful, and set amongst flowering plants and tropical fruit trees in one acre of the lush hillside (a hot spot for bird watching! ), you’re unlikely to find a villa with more spectacular views. It’s away from all tourist resorts giving you a chance to explore St Lucia on a more intimate level. Mango Tree Villa offers an exclusive use with its panoramic views of the Caribbean Sea and Castries. The Villa is only a few minutes walk to the Windjammer Landing Resort where you can enjoy the beach facilities, restaurants, and programs for children. The area is safe for all ages. Don’t forget to Pin this to your St Lucia board.